The backlit film printing process holds uniqueness as it is printed on Non adhesive V7 Mil Backlit Film material. Creative backlit film printing can be static or dynamic.To enhance advertisement results in your trade shows, use our custom 18x48" backlit printing signs for trade shows and make a difference with variety of complementary colors and the best clear images with your logo and company message. Backlit films are made from lightweight frosted materials that makes them weatherproof and extremely durable. 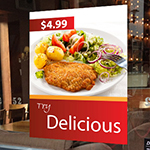 Whether its for a restaurant, a bar, or other endless applications, backlit films are designed to increase sales and advertisement, giving out a call for action to the customers. Create incredible looking graphics with our translucent backlit film printing that is great for store windows. If you are looking to advertise your fitness gym, our 18x24" fitness gym backlit printing is what you need. Backlit films are easy to install and they create vibrancy in colors that grabs the viewer's attention. Our printing company in Long Island has already established itself as one of the best digital backlit film printing at reasonable prices by keeping your demand in mind. If you are on the lookout for good backlit film printing, we have the provisions to create them. The backlit display sign can be used in restaurants, gyms, malls, hospitals, shops, beauty salons, doctors offices and in many other locations. You could advertise new job vacancies by using our standard 12x24" now hiring backlit printing that are as popular as our customized 18x48" restaurant backlit printing. We execute the entire process quickly and efficiently with the support of the most up-to-date technology and world-class techniques. Our online vinyl banner printing and backlit display signs are easy to order and are always delivered to the customers on time. The 12x24"outdoor backlit display signs for real estate provide an attractive way to identify your business both day and night. 7mil backlit film with UV finish is heavy duty material which offers high quality printing that minimizes glare and allows for spectacular high resolution displays. Our full color high resolution print process delivers vibrant photo quality, print perfect for any indoor or outdoor backlit application. The backlit film is ideal for catching the eyes of passersby, especially drivers who have seconds to read a sign while driving. Backlit display is an effective sign to increase sales and profits. They are eco-friendly, printed with fade and abrasion resistant UV ink to increase longevity. Use backlit displays with a consistent message, logo and contact information that will catch the attraction and imprint the knowledge of your company in peoples' memories. Sales and discount products also help to attract the shoppers and increase your sales. List the sales prices so customer knows just how much they will save. Point out specific product benefits to interest buyers. If your product is a quality product, be sure to say so, and if it is at low price, also make sure to let them know. Backlit display printing is one of the methods used in the advertising field to highlight the graphics or message in the display by lighting it up from the rear side. As a unique printing and graphic design company in the USA, we do our best to give the best results in printing, designing and manufacturing display solutions for various exhibitions at the most competitive pricing in the industry. 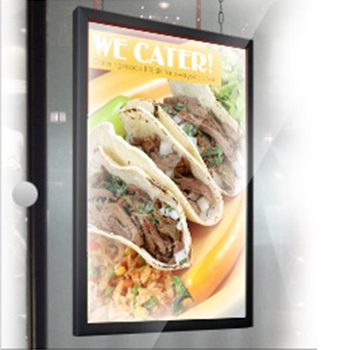 We specialize in manufacturing backlit displays for indoor and outdoor advertising applications. Get your product or service noticed! There is a strong demand for our backlit displays for a variety of venues such as public places, exhibitions, conferences, offices, tradeshow events, product launches, booths, showrooms and more. Backlit display signs are used for numerous advertising and informational purposes. 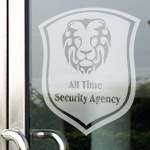 Backlit display signs are printed on a glass or plastic material, and the space outside the sign is darkened or coated. When the plate is backlit, only the logo or message is seen. Backlit display signs can be static or dynamic. The effect of the advertisement is enhanced by appropriate backlighting, clear images and complementary colors. The print is laminated for maximum durability. If you are on the lookout for good backlit display signs, we have the provision to create them in-house as well. Our backlit display signs can be used in restaurants, gyms, malls, hospitals, shops, beauty salons, doctors' offices and in many other locations. Our backlit display signs move through a number of carefully chosen full-color posters and signs, displaying a number of your marketing messages. Backlit display signs are fantastic marketing implements. Customer service is really impressive! My experience with printingxpert is good so far! You can retrieve your password by resubmitting your email address that you registered with. An email will be sent to this address within minutes. If you have let more than 2 hours lapse or if you had difficulty with this process you will have to submit your email address again. Alternately, you can use the Customer service interface or call the toll free number 1-888-681-4947 and we will get back to you by email usually within a matter of hours. If you have registered with a bogus email address, you will have to contact us on our toll free number 1-888-681-4947. Does large format print file need bleed? No! large format does not need bleed, only other products need bleed. Can this large format printing come in any custom size? Yes, you can customize your large format printing to be any size. Be sure to insert the size in inches. Premium Backlit Film is UV 7 mil Backlit Film materials with a high-quality satin finish that minimizes glare and allows for spectacular high-resolution displays. 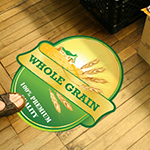 Its great for, backlit signage, Light boxes, backlit menu, trade show displays. Backlit Film Backlit Film High-quality Translucent Graphic Film. A semi-translucent material that allows light to pass through when lit from behind. This makes your image to pop with a three-dimensional appearance. it's Adheres to both acrylic and glass surfaces, offers day and night visibility (when backlit using fluorescent or LED lights), self-adhesive backing, life expectancy: 5 year. Best For—Backlit light boxes, storefront windows. 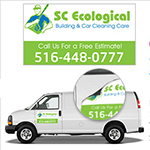 We offer full color printing.